After wearing Smoke & Mirrors and hearing that there were three other colors that were supposed to be metallic foil in the same display I went hunting. Two Walgreens later I found them. Mystical Glare was the next polish on my nails. I am disappointed and then I’m not. I wanted this polish to have the same foil finish that Smoke & Mirrors has and it doesn’t. But if I look at this polish on its own without comparing it then I love it. 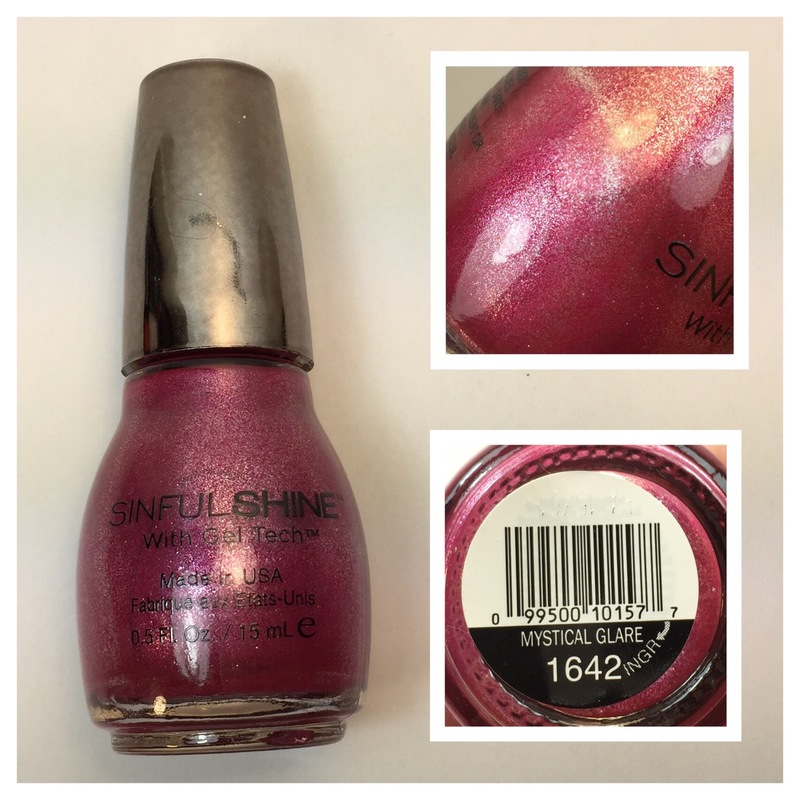 Mystical Glare is a deep pink, magenta, shimmery metallic finish polish. Two coats and this polish is opaque. I used ACI Yellow Stopper as a base coat and HK Girl Top Coat. You can definitely see the silver shimmer in this polish.